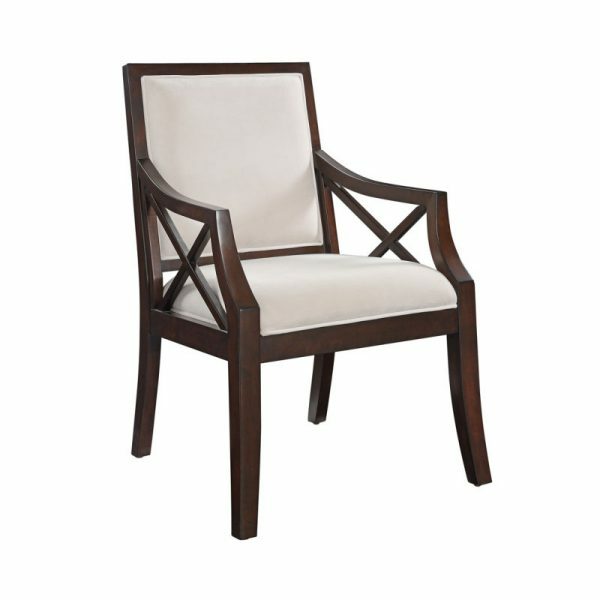 Brown Cherry Accent Chair. Straight forward and simple describes this classic chair. 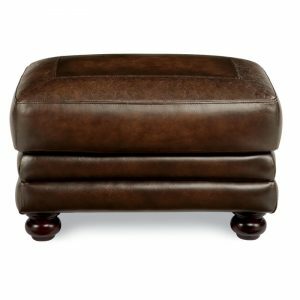 A rich Brown Cherry accentuates the square back, tapered legs and the precise curves and X design of the arms. 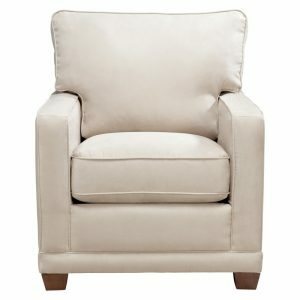 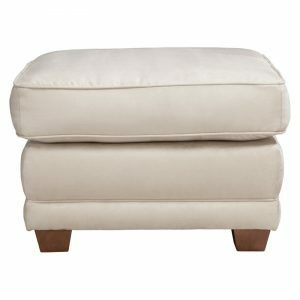 The seat and back are elegantly finished in a Beige Microsuede for style and comfort.